Favorite court portrait painter of kings and royal family and Spain’s greatest 17th century painter, Diego Rodríguez de Silva y Velázquez was one of Spanish Golden Age’s most important painters. He was born in Seville, Andalusia in 1599. His family was from lesser nobility and they enjoyed the privileges reserved for the gentry. Diego Velázquez was the leading artist during the time of King Philip IV. He was an artist of the contemporary Baroque tradition and a very valued portrait artist of commoners, notable Europeans and the Spanish royal family. His portraits normally captured the sitter’s characteristics and features faithfully and with great realism. 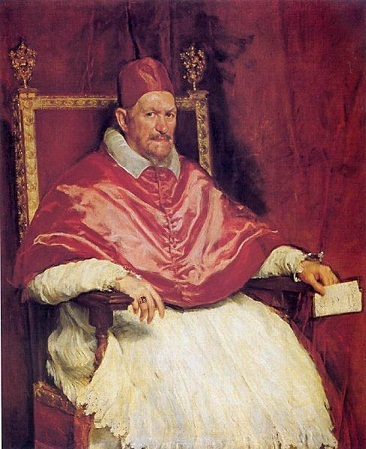 With his connections and receipt of a regular salary due to his royal appointment, Velázquez was not forced to paint for a living, which meant that although he produced several wonderful and memorable paintings like “Las Meninas” that is considered a masterpiece and the “Portrait of Pope Innocent X,” it still allowed him to paint at leisure. The works of Velázquez became the model of many realists and impressionist painters of the 19th century, especially Edouard Manet and later, artists such as Francis Bacon, Salvador Dali and Pablo Picasso. The latter artists paid tribute to the great Spanish master by recreating some of his notable works. The deliberate realism in his painting style was already evident at this stage, when he was doing compositions of genre scenes called “bodegones” like his “Old Woman Frying Eggs, and his religious works such as “Christ and the Pilgrims of Emmaus” (Jesús y los peregrinos de Emaús) that he did in 1626 and “The Adoration of the Magi” (Adoración de los Reyes) that was painted in 1619. In 1622 he was asked to paint a portrait of King Philip IV and was later appointed as the court painter. He was asked to move to Madrid, with his expenses for the move paid for by the king. He was promised that only he would be painting the king’s portraits. The bust portrait of the king secured Velázquez a salaried position in the royal service. It is a pity that this painting was lost. Also lost was the portrait he did of the Prince of Wales, who later became known as Charles I.
Madrid in 1628 and stayed in the city for seven months, accompanied by Velázquez when he was on tour. Rubens was at the height of his popularity at that time and his brilliance as a courtier and painter was showcased during his stay although it did not influence the style of Velázquez but it did inspire the Spanish painter to see the great Italian masters’ works. His style continued to grow and evolve through the years, particularly when he had the chance to travel to Italy in 1629, which was sponsored by King Philip IV. Velázquez enjoyed the support of royalty throughout his career. He painted several portraits of the Minister Olivares, who was instrumental in his gaining his first royal commission. The artist remained loyal to the minister and stood by him during his downfall. He painted about 40 portraits of King Philip and several portraits of the royal family. Likewise Velázquez also painted court dwarfs and buffoons and several religious paintings, with “Christ Crucified” as one of the most outstanding. His painting of Pope Innocent X showed the stern demeanor and power of the pope, which many thought would not be accepted by the Pope. However, the Pope liked it and it was put up in his official visiting room. 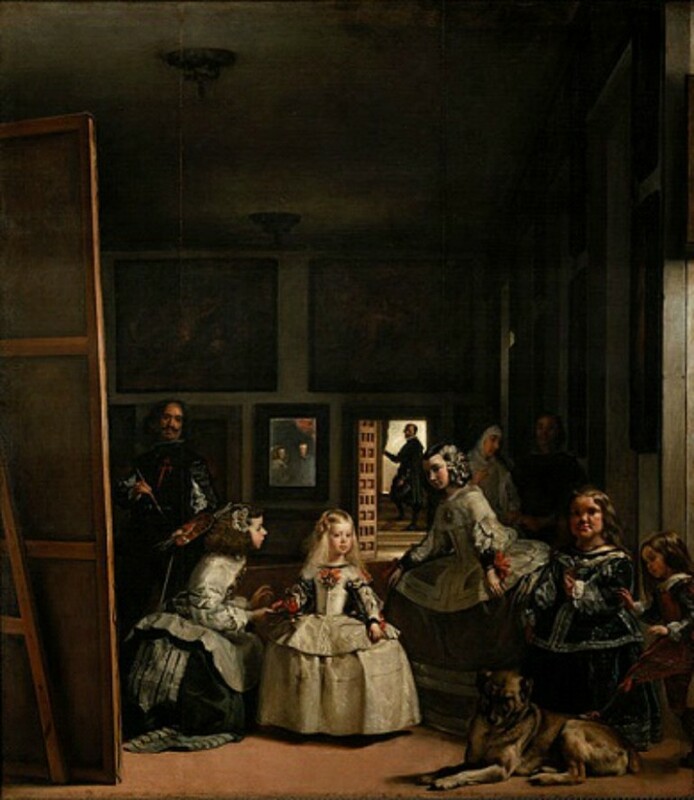 “Las Meninas” became the magnum opus of Velázquez. It was painted in 1656, showing Margaret Theresa, the eldest daughter of the new Queen, Mariana of Austria. The complex painting showed a total of 11 persons and a dog. This painting became a very important example of Baroque art in Europe and became the subject of many interpretations. A few years before his death, Velázquez also painted “Las hilanderas” or The Spinners, showing the interior of the royal tapestry room, which showed the extent of the painter’s knowledge of art that he gathered throughout his career. His last portraits of the royal children especially that of Infanta Margaret Theresa are some of the finest works he had produced. His use of shimmering colors was almost impressionistic in approach. One has to stand at a distance to fully take in the three-dimensional quality of the work.